Submitted by Bob.Sedona on Sat, 01/20/2018 - 4:19pm. In 1963, the first Portillo's hot dog stand known as "The Dog House" opened on North Avenue in Villa Park, IL. 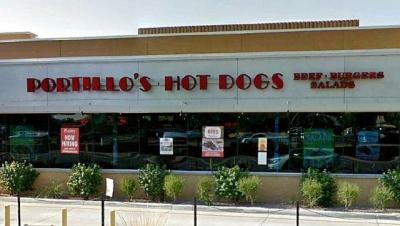 The Portillo's menu features hot dogs, Italian beef and sausage, Polish sausage, burgers, chili, salads, pasta and ribs. Peoria IL now open, Added Avon IN ("coming soon"). Mishawaka IN is now open. Added Madison WI ("coming soon").